Ferry DON PEPPINO while leaving Ischia port, Ischia Island, Gulf of Naples, Italy, on Feb 23, contacted bow of stern-berthed ferry BENITO BUONO, in stormy weather conditions. 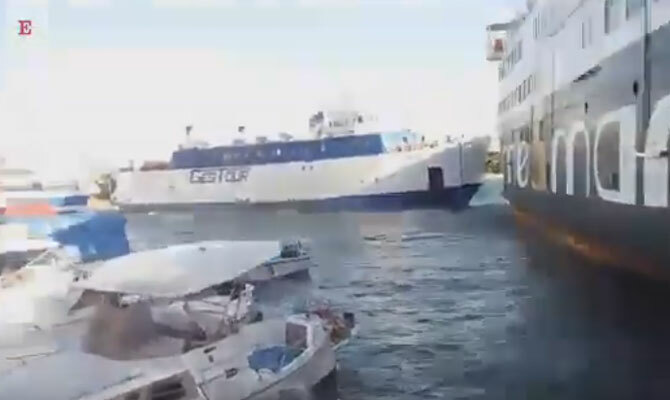 Both ships reportedly sustained slight damages, DON PEPPINO continued her trip to Naples. Passenger ro-ro ship DON PEPPINO, IMO 6410776, GT 1280, built 1984, flag Italy, owner GES TUR. Passenger ro-ro ship BENITO BUONO, IMO 6809719, GT 2303, built 1968, flag Italy, owner Medmar Navi SPA.